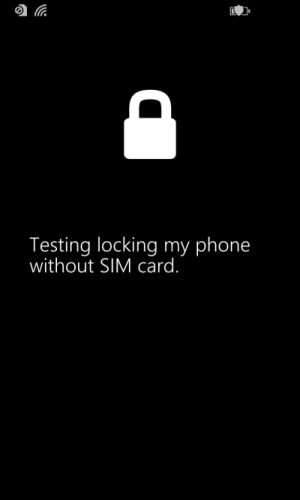 Find my phone - Will it work if the SIM is removed? To lock, ring or locate the phone I need to have active internet connection. But what if the SIM was removed by someone? Will I still be able to perform lock, ring or locate on my phone? It should work, as long as your phone is connected to WiFi. It's possible that for this to work you need to set your phone to use push notifications, rather than SMS, to communicate with Microsoft's servers. To do so, go to Settings → find my phone, and check the "Always use push notifications..." option. If your phone is not connected to WiFi, then you're out of luck as without WiFi or cellular connectivity there's no way to communicate with your phone. Lock, Ring or simple Find do not work without a SIM card (then again, you will need to have one in order to use it to call someone). Someone might test with a different card number to see if it still performs those actions, but on my attempt, it did not Find, or Ring the phone ... soon I put the card on, it found it and it rang from the previous request. Maybe in 8.1 preview it works fine... I'm running the vanilla Windows Phone 8 only called Nokia Lumia Black software. Not the answer you're looking for? Browse other questions tagged find-my-phone or ask your own question. What setting up do I need to do for “Find My Phone” to work? 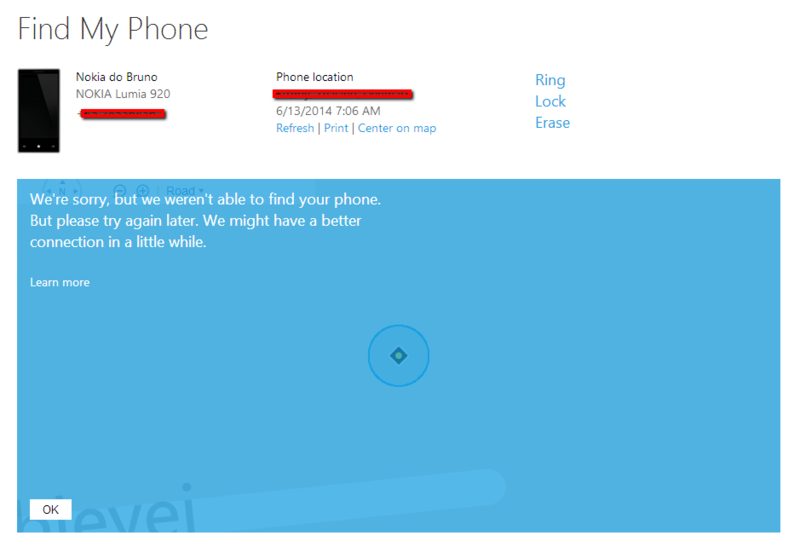 Why “Find my phone” is sending a SMS and doesn't work? Lost phone: What can I do to protect my data and recover my device?